Roll the credits: Blockbuster Video is over. The former star retailer in the home movie and video game rental business, worth $5 billion just 10 years ago, is closing up shop as competition from online streaming and on-demand rental sites proves too tough to weather. The U.K. element of the business shut 62 stores and cut 427 jobs on Thursday as it winds down to complete shuttering by the end of December, according to administrators. The closures echo the situation at the U.S. Blockbuster, which is due to close all its remaining stores by January, resulting in the loss of 2,800 jobs, according to Blockbuster owner Dish Network Corp. (NASDAQ:DISH). While the company is folding, 50 U.S.-based stores will remain open and operate under a franchise agreement. Administrator Moorfields Corporate Recovery has shut more than 160 stores in the U.K. since it became Blockbuster’s administrator on Nov. 11 but has so far been unable to find a buyer for the remaining 91 stores, which are very likely to be shut, said the administrator. 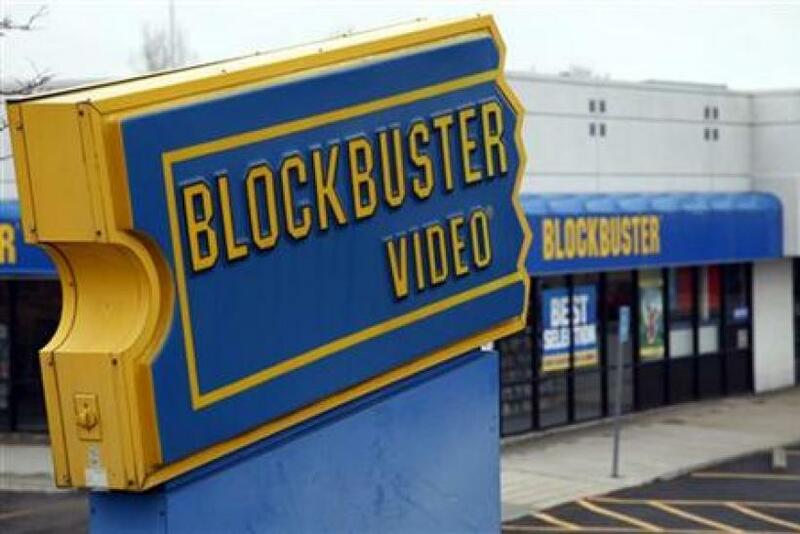 Blockbuster had a presence in more than a dozen countries around the world, all of which operated as different business holdings, and they have all suffered a similar fate as shifting consumer demands and competition from online-only companies like Netflix Inc. (NASDAQ:NFLX), Hulu, Vadu and Redbox eroded their audience. At its peak in 2004, Blockbuster had 60,000 employees and 9,000 stores worldwide with a market value of $5 billion and revenues of $5.9 billion. Ten years later, those figures have dropped dramatically, with revenues of only $120 million coming from its remaining 300 stores in the U.S. Even Netflix’s DVD subscription service has seen a major change in fortunes, going from 14 million subscribers in 2011 to half that in the third quarter of 2013, reflecting the decline of physical media in favor of the cheaper and more easily accessible digital forms. In spite of that, Netflix, which started in 1997, has added 10 million subscribers in the last year and reported revenues of $1.1 billion in Q3, its third consecutive $1 billion quarter. According to the Digital Entertainment Group, a nonprofit that advocates on digital entertainment, 80 percent to 90 percent of all digital movie revenue comes from short online rentals rather than outright sales -- including online subscriptions that offer unlimited streaming, which Netflix currently leads with $700 million in digital revenue in Q3. 1985: Founder David Cook had fallen on hard times when his software business suffered with a downturn in the oil and gas industry, where his main buyers were. His experience in databases gave him the idea for Blockbuster. In that same year, he opened the first store in Dallas. 1987: A $6 million warehouse was opened in Texas with an eye on supplying a large chain that would add to the first few Cook had opened in Texas. The company was sold to Waste Management Inc. (NYSE:WM) founder Wayne Huizenga for $18.5 million. In the same year, Blockbuster won a court case with Nintendo that paved the way for the rental of video games. 1992: Under Huizenga’s leadership, Blockbuster was opening a store every 24 hours as it sought to become the industry leader. By acquiring British video rental chain Ritz and U.S.-based Major Video and Erol’s, Blockbuster grew to more than 2,800 stores. 1994: Just seven years after opening, Blockbuster was sold for $8.4 billion to Viacom Inc.(NASDAQ:VIA), the American mass media company. 1997: Perhaps the moment that Blockbuster inadvertently triggered its own downfall. Customer Reed Hastings was charged $40 for being late in returning “Apollo 13.” Out of frustration, Hastings went on to create Netflix. 1998: Blockbuster creates DEJ productions, which acquires 225 films to provide exclusive content to its growing number of stores -- more than 6,000 globally at the time. 1999: Viacom takes the company public but retains its controlling stake so it can still take in the valuable cash stream offered by booming sales. 2000: Opportunity doesn’t often knock twice, but it did when DVD subscription service Netflix was offered to Blockbuster for $50 million. The company declined the offer. Also that year, the company took in a staggering $800 million in late fees, which made up 16 percent of revenue for that year. 2002: Blockbuster continues its expansion as it buys U.K.-based Gamestation, a computer and console games retailer. Netflix goes public. 2004: Blockbuster separates from Viacom and launches an online DVD subscription but is already seven years behind industry leader Netflix despite having 9,000 stores globally and being worth around $5 billion. Carl Icahn begins acquiring shares in the company. 2005-2007: A number of CEOs come and go, along with multiple changes in business strategy, which included ditching the total access online service in favor of continuing the in-store, retail-orientated model. This decision ultimately left Blockbuster far behind its online rivals. 2010: Blockbuster files for bankruptcy as it attempts to wipe out $1 billion in debt. Its only rival in the United States, Movie Gallery, is liquidated, leaving the company as the only remaining national video rental chain . The company is delisted from the NYSE. 2011: U.S.-based Dish Network buys Blockbuster's remaining assets for $320 million at an auction with the intention to close many of its branches over time. Dish said it would keep only 600 branches open. 2012: Dish scraps plans to make Blockbuster into a Netflix rival. 2013: Dish claims in January that it will continue to operate Blockbuster as it still had good brand value. By August plans were in place to shut all remaining stores in the U.S. and cease the rent-by-mail service by November. CBS News reports that the last film to be rented at a Blockbuster store was “This Is the End,” at a store in Hawaii. Does FCC Chairman Oppose Net Neutrality Rule?